I'm back from a great day at the CNE. 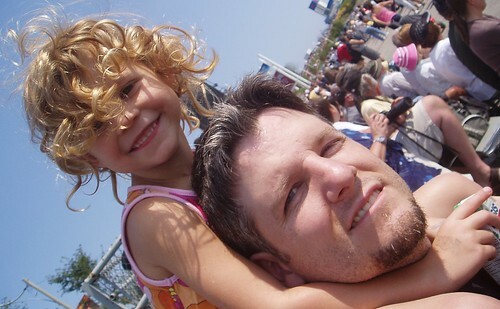 I've written extensively about my three summers working at the Canadian National Exhibition as a teenager, so when I join the family for a trip to the Ex now it's really for three reasons. I love walking the midway, hearing the carny calls, the music, the bells, the whistles and screams. There's a distinctive sound to the CNE midway that takes me back and I love immersing myself in it. Joining that Ex sound is that Ex smell. The waffles and corn dogs and cotton candy melts together to form this distinctive syrupy sweet CNE odour. You know it when you smell it, and it too takes me back. Then, to complete this smörgåsbord of senses, there are all those colours and blinking lights and flash. 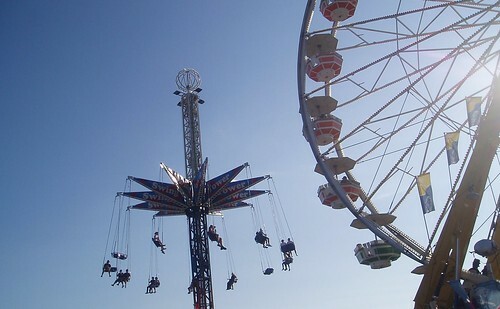 I can walk the CNE midway for hours without feeling the slightest impulse to play a game or go on a ride. I just like being there. I've always loved the air show. I loved it as a kid and I love it today. I've got my kids loving it too, so we park ourselves at the bleachers by the lake around noon and soak in the aviation excitement. This year's show was spectacular as usual as we celebrated the 60th anniversary of the Canadian International Air Show and the 100th anniversary of powered flight in Canada. Nothing is better than heading to the Food Building after the Air Show. There's so much tasty goodness in that building and some pretty sweet deals. My mom can never resist the 99¢ spaghetti, my daughter scored a $1.50 jumbo hot dog, my wife made two trips to the pierogi place and my son and I went for ribs. 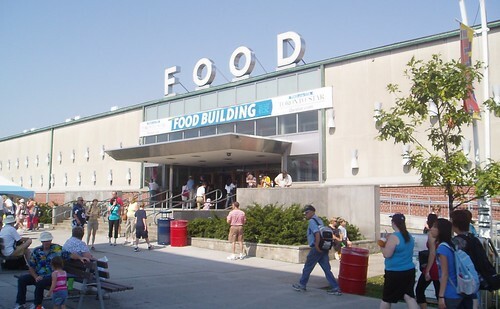 The Food Building is a key part of any visit to the Ex. That's all I need. 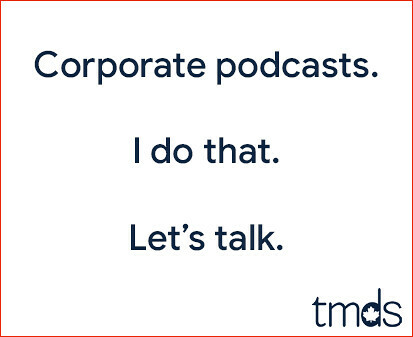 I don't need the rides, games or exhibits. I like the walk, the ambiance, the air show and the Food Building. And once a summer is frequent enough. Here's my photoset from today's visit. I'm beat. Just got home as well....could not have said it better..daughter loved it even more!!!! Should have bought a razor before you went. Sights + Sounds + Smells = Ambiance. Ambiance + Air Show + Food Building = 3. As for the razor, the facial hair stays until my RSPA Slo-Pitch final on Friday. Lovely pics, Mike. A ferris wheel is one of my favourite things in the whole wide world. I love their symbolism. oh! why there it is!